Second Harvest Food Bank of East Central Indiana was founded in 1983 and we haven’t stopped fighting hunger since. As a non-profit organization, funded by philanthropic and community support, we’re devoted to feeding the hungry, advocating for those with food insecurity and providing nutrition education. We fight hunger by working with partner agencies, local schools, corporate partners and a wide network of volunteers to serve hundreds of people each week. 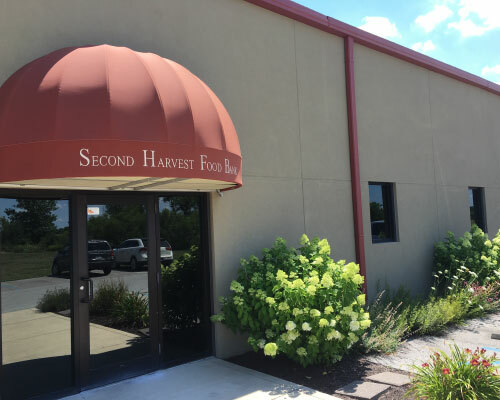 Second Harvest is a member of Feeding America, the largest domestic hunger-relief organization in the United States. Being a member of Feeding America allows us to access donated product, professional resources and a network of other like-minded organizations across the country. Feeding America is a nationwide network of 200 food banks and 60,000 food pantries and meal programs that provides food and services to more than 46 million people each year. Our mission is to provide help for today by feeding the hungry and hope for tomorrow by addressing the causes of food insecurity while empowering people toward self-sufficiency. Our vision is to see people in East Central Indiana free from hunger and self-sufficient. 1 in 7 Americans struggles to get enough to eat. In fact, hunger or food insecurity exists in virtually every community in the United States. For people in East Central Indiana, hunger is a reality for 74,000 people. Hunger is not confined to a neighborhood, a gender, an age or a race. the extent to which an individual does without resources. the limited or uncertain availability of nutritionally adequate and safe foods or limited or uncertain ability to acquire acceptable foods in socially acceptable ways. Poverty and hunger in America often go hand in hand, but poverty is not the ultimate determinant of food insecurity. People living above the poverty line are often at risk of hunger as well. Rates of food insecurity among rural households are generally higher than urban households. The irony is that many of these food-insecure households are in the very rural and farm communities whose productivity feeds the world and provides low-cost wholesome food for American consumers. 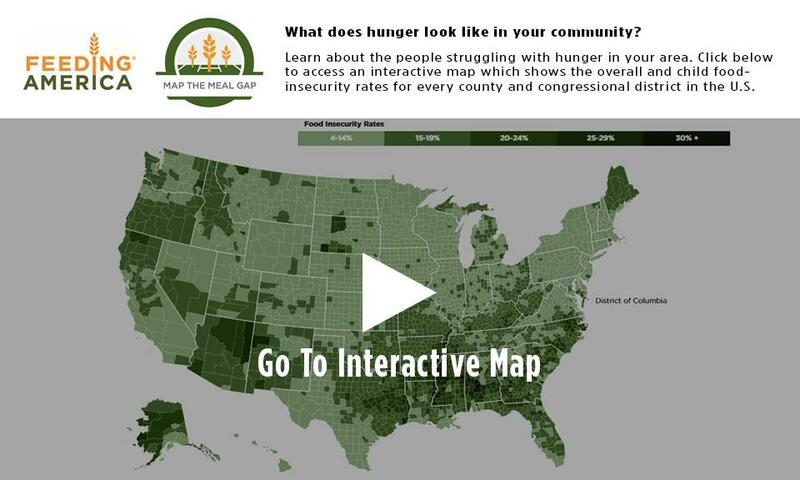 Food insecurity exists in every county and congressional district in the country. Feeding America’s annual Map the Meal Gap project offers information about local food insecurity. Food insecurity exists in all 3,142 counties and 436 congressional districts in all 50 states.